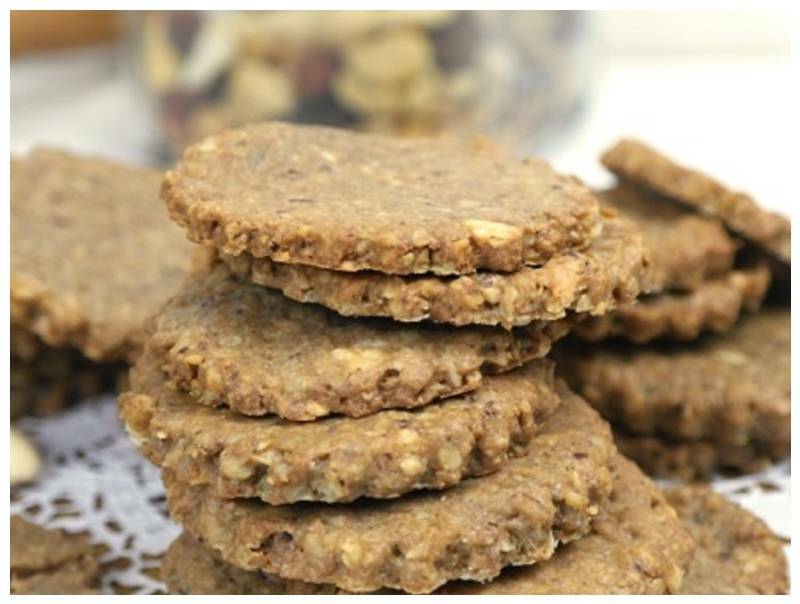 Delicious nutty cookies in which Greensweet Sweet Intens is processed. Preheat the oven to 170 degrees. Put a sheet of parchment paper ready at your workplace, along with some plastic cling film and the rolling pin. Grind all the ingredients in the food processor into a sturdy ball. You can also stir everything directly together with the ladle and knead it manually into a ball. Grind the sunflower seeds to a fine mass. Put the ball on the sheet of pulp and press it flat. Cover with some plastic cling film and roll with the rolling pin to make it as thin as possible. The thinner the slice, the crisper the cookies become. It is best to use a cookie cutter. These can be any desired shapes. Cut out the slice of biscuits and remove the remains around the outstretched cookies, make another slice of it and then put it out again on a sheet of baking paper cookies. Carefully slide the sheet onto a baking sheet and bake the cookies in the middle of the oven until done in about 10-12 minutes, keep checking. Let cool for a while. Keep them in a cookie tin, for more crunchiness.